So, as you may have seen over on my Facebook page, this week has been quite a momentous week for me. Not only have I followed my dream and moved my life to Tenerife, I have also gone the whole hog and signed up for residency here along with the endless other things required by the government to prove that you are entitled to work on the island. It is safe to say that it has been a long, hard, infuriating process. Yes, there were tears and then there were moments when I was so happy I could have run and hugged all the passers by in the street. There were moments when I thought that I was never going to have my paperwork completed and that the whole process is designed to filter out those that can't be bothered with the bureaucracy of it all and will then return home after a few weeks in the sun. But, boys and girls, I have done it and I don't think I have ever been happier to have been given a small piece of green card. One thing that really got me at my lowest moment was the waiting. Spain is famous for its manana, manana culture of everything being done tomorrow, however, that is just not how this crazy chica rolls. After going through the exhausting process of collecting all the necessary paperwork, I was then given a months wait before I could be issued with an identification number. This was a major spanner in the works as it would have meant I wouldn't have been able to work or do anything for an entire month. Despite this, with a lot of bravado and determination, I did not let this minor hiccup hold me back from pursuing my dreams and I finally managed to get what I needed, when I needed it. 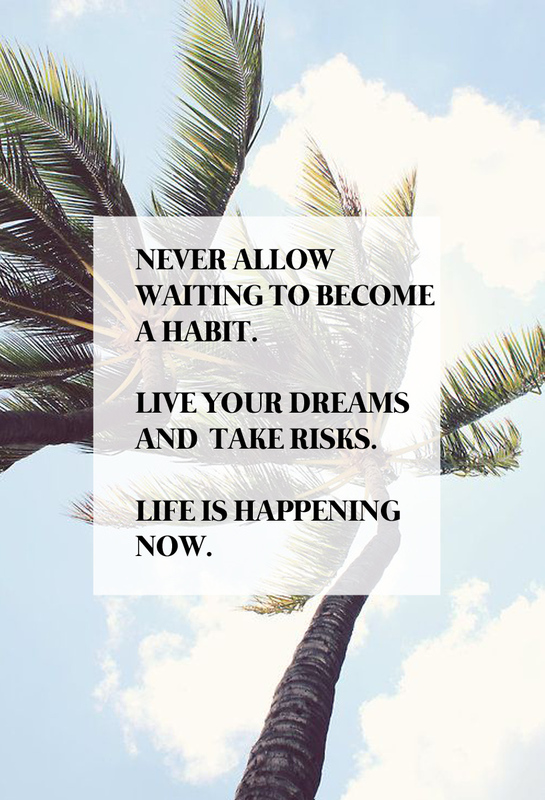 So, when I saw this quote I could not have been more thrilled as it perfectly sums up my feelings today and I have added the palm trees so that you can all bask in my island vibes. But basically if you want something done, you have to go out there and do it yourself as no one will do it for you. So, how are you going to make your dreams come true today?